The Dangerous Dogs Act 1991 was rushed legislation and an overreaction to a transient public mood following a number high profile dog attacks. Under this discriminatory Act, Breed Specific Legislation (BSL) prohibits the ownership of certain types (not even specific breeds) of dogs — in particular the pit bull terrier type. This means that they are very difficult to re–home from rescue centres. There is no evidence to support the notion that some breeds or types of dog are, by their nature, more dangerous than others. BSL punishes certain types of dogs for the way they look and fails to consider a dog's individual behaviour when determining whether or not they are dangerous. The onus of responsibility falls unfairly on the dog and not on the irresponsible actions of the owner. More importantly many dogs whose behaviour poses no risk are branded 'dangerous' just because of their appearance. Has this prejudicial legislation been effective? In short - NO. BSL has not prevented attacks on animals or humans and has not discouraged irresponsible ownership. It has failed in evaluations in such countries as the Netherlands, Spain and Denmark and is clearly not fit for purpose. The RSPCA has called for change to the flawed Dangerous Dogs Act as it is forced to put down dogs for the way they look rather than the danger they pose. Sign now to demand that this ineffectual legislation be repealed now. Dear Secretary of State for Environment, Food and Rural Affairs, The Dangerous Dogs Act 1991 was rushed legislation and an overreaction to a transient public mood following a number high profile dog attacks. 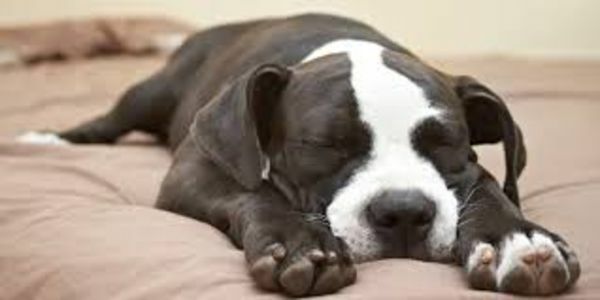 Under this discriminatory Act, Breed Specific Legislation (BSL) prohibits the ownership of certain types (not even specific breeds) of dogs — in particular the pit bull terrier type. This means that they are not allowed to be re–homed from rescue centres. We respectfully request that this ineffectual legislation be repealed now. The Government Inquiry into the Dangerous Dogs Act, to which we submitted this petition, has reported that existing Breed Specific Legislation is failing to protect the public, most attacks are from legal breeds and that BSL is illogical and unfair to dogs. Defra has been asked by the Inquiry Committee to commission an independent review into BSL to be completed by Easter 2019. Thank you for signing! Care2 has now submitted this petition as evidence to the Government's Select Committee Inquiry into Breed Specific Legislation. We will let you know the outcome.